We usually focus on the amazing results of extraordinary construction projects on our blog, but those spectacular creations don’t build themselves. It’s time to pay the proper respect to some of the machines that make jaw-dropping construction possible, especially those epic forces of man-made innovation that tower above the rest. 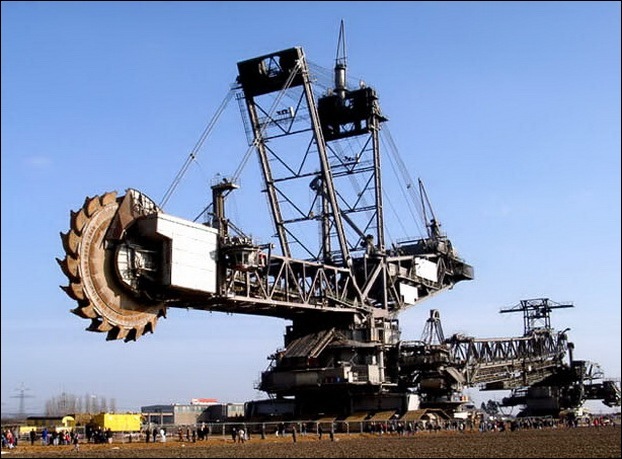 The Bagger 288 (Excavator 288), built by the German company Krupp for the energy and mining firm Rheinbraun, is a bucket-wheel excavator or mobile strip mining machine. When its construction was completed in 1978, Bagger 288 superseded NASA's Crawler-Transporter, used to carry the Space Shuttle and Apollo Saturn V launch vehicle, as the largest land vehicle in the world at 13,500 tons. 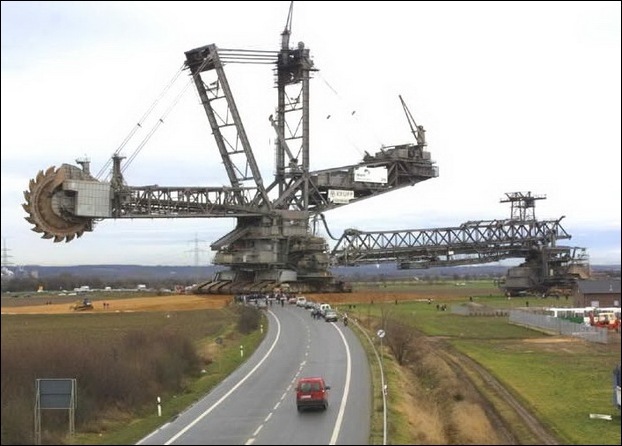 To put it lightly, the Bagger 288 is a bucket-wheel excavator. But there’s nothing light about a 13,500-ton mobile strip miner. The German creation is 721 feet long, 315 feet high, and can clear an area the size of a football field three stories deep—in just one day. Aww really Giant Machinery i have ever seen. thanks for sharing.